Click on the image below to view our latest menu. We pride ourselves on presenting a superior, A La Carte menu that represents choice, variety and of course quality. All dishes are prepared with fresh ingredients each day. 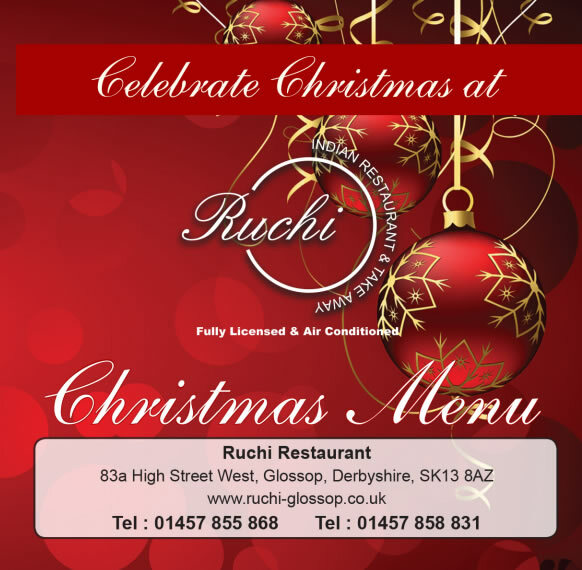 Please click here to view our Christmas Menu! We take pride in our food! 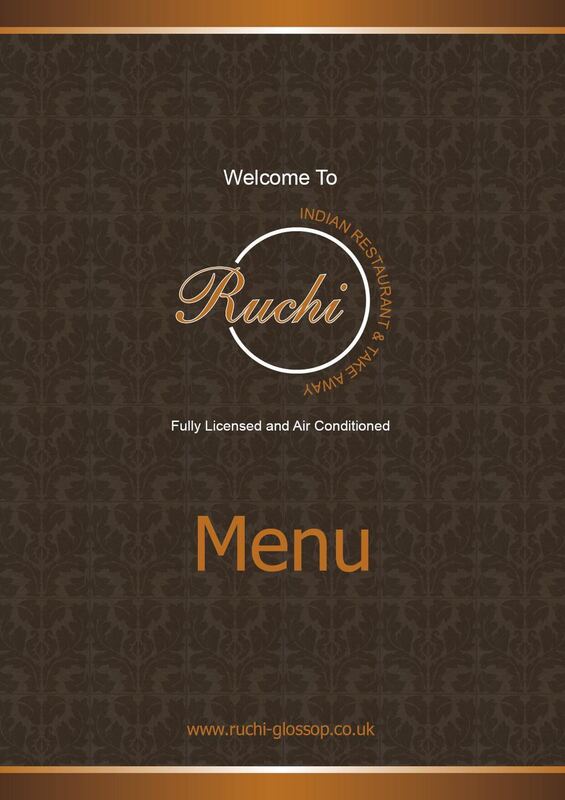 To us excellent food and value for money go hand in hand, and above all we aim to make every visit to the Ruchi an occasion to remember.